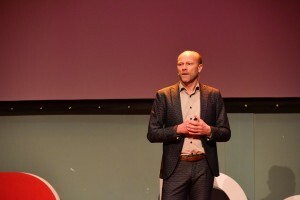 https://www.tedxdelft.nl/wp-content/uploads/2019/04/Meike-van-Ginneken.jpg 2667 2667 Feli Hansen https://www.tedxdelft.nl/wp-content/uploads/2016/02/TEDxDelftLogoWebsite.jpg Feli Hansen2019-04-11 11:31:112019-04-11 11:51:51TEDxDelft Speaker Re:veal: Ms. Meike van Ginneken MSc. Speaker TEDxDelft in the spotlight! Arjen Kamphuis worked for IBM as IT-architect in the ’90’s. From 2002 to 2010 he advised several European countries on IT-strategy, opensource software & open standards. Since 2006 he helps to secure information systems of companies, government and NGO’s. His work ranges from regular security-awareness to countering espionage against companies, journalists, lawyers and activists. 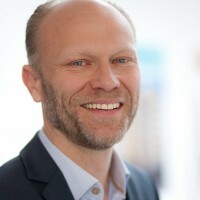 Arjen is involved with the global hacker-community and works with (former)employees of spy agencies and other professionals who work at the front of critical infrastructure protection. 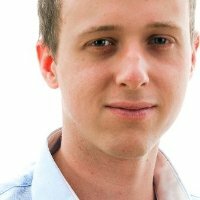 Arjen is now Tech & Infosec Director at Pretty Good Knowledge – the Brunel datascience company. Arjen’s talk will be about the following: From governments to health-care to basic food availability, our lives depend on networked computers functioning all the time. Thanks to Edward Snowden we know most of our current IT-systems are insecure beyond repair. This insecurity is becoming an existential threat to highly automated and networked societies. There is a way out of this but it requires a different way of thinking about IT than what got us here. Wessel van Beerendonk is architect and co-founder of Studio RAP. Studio RAP was founded in 2015 and is an award-winning architectural design and manufacturing studio. In the RAP’s design process, innovative design techniques are used after which in-house these designs are produced with the help of industrial robotic arms. Using digital manufacturing, especially robot-controlled production methods, RAP assumes the role of digital architect. The RAP designs are characterized by expressive unique forms, which are sustainably produced, assembled or unassembled, by industrial robotic arms. Wessel will be talking about moving towards a new architectural paradigm. Laura Klauss is a former student of the Delft University of Technology, where she studied Industrial Design Engineering. During her graduation Laura specialized predominantly in the technical aspects of product design and production processes. In 2012 she was co-founder of Better Future Factory and the iconic start-ups Perpectual Plastic and Refil. Her work was rewarded in 2016 by winning the public vote for the prestigious Dutch Engineer of the Year Award. Laura’s talk is about creating tangible solutions that make waste valuable. Vreneli Stadelmaier, a performer, writer, careercoach and an entrepreneur for 20 years. She is the Dutch expert on the impostor phenomenon (the fear of beiing found out) and how it’s holding back. Vreneli was rewarded by the Dutch government with an award for women emancipation. Her goal in life is more women at the top. John Sadowsky is is a global speaker, writer, leadership coach and business advisor, with more than 20 years of experience across five continents. One of his major goals is to have a deep impact on everyone he works and lives with, and to inspire others to do the same. In his keynotes and seminars, John speaks about how his narrative-based method can transform people, groups, brands or organizations. TEDx Speaker in the spotlight! Peter Joosten is biohacker and futurist. In his talk at the TEDxDelft event on March 22nd, Peter will reveal the lessons he learned from doing an extensive amount of personal experiments to create more wellbeing. Ideas worth spreading. 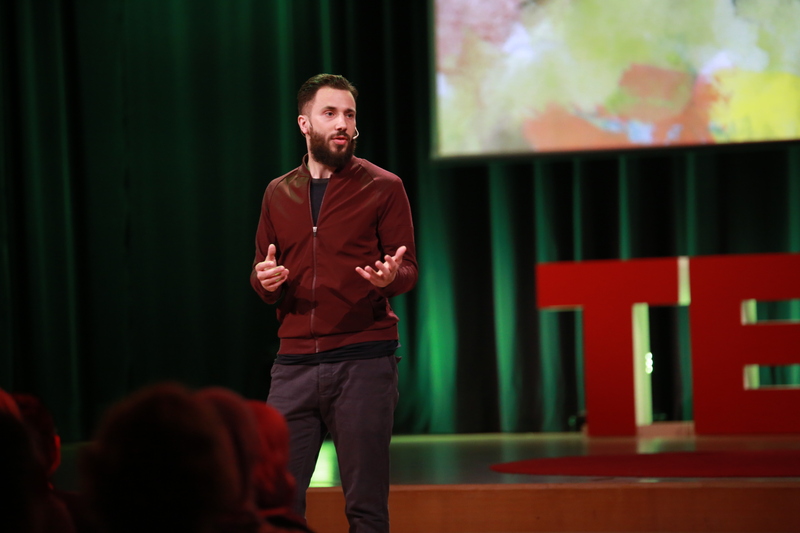 Ted stands for inspiring talks about Technology, Entertainment and Design. The art of inspiration is central to TED. And questions are part of that. How to tell your story? How to inspire your audience? 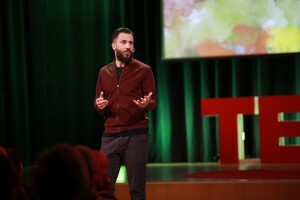 How to speak like a Tedx speaker? During the lead-in to TedxDelft 2018, two workshops will be organized. And everyone is welcome. On Thursday, March 1st, the first ever Students Seeking Knowledge Symposium will take place. Central themes are personal development and personal leadership while multiple lectures and workshops throughout the day will help kickstart your personal growth. On Tuesday, March 6th, TedxDelft will organize a workshop called, How to Pitch Ideas. Do you have an idea that will change the world? Do you dream of standing on an official Tedx red carpet and delivering that idea via a Ted talk? This promises to be an awesome evening that takes you through the steps of pitching that idea! The workshop is facilitated by Jonathan Talbott, TedxDelft’s Head of Speaker Coaching. After attaining a bachelor’s degree in history at Cambridge University, Manthorpe enrolled at the London School of Economics. Completing his master’s studies on political theory, he became a freelance journalist. Confidence has fascinated him since his studies: “You notice things more when they are gone, and how crucial they can be.” The main source of inspiration for his own view on it: the writings of Friedrich Nietzsche. Confidence connects to all aspects of daily life such as money and gender. Nietzsche’s bottom line was about the need for self-expression and creativity. He himself was a very lonely person, his success not being recognized during his lifetime. In current society we are drawn to the dream of confidence. “We are all Nietzschians now,” said Manthorpe. If we make a goal out of achieving confidence, we approach everything in life individualistically. 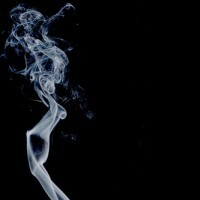 It can lead to loneliness, heartlessness and instability, and thus unhappiness. On Thursday 18 February TEDxDelft hosted its third storytelling event of the season, entitled ‘The Lonely Hearts Club.’ Hosting the night’s event were Marijn Vissers and Cor Hoeve, two colleagues and professional storytellers. To them, telling a story is a way of expressing oneself. “Each one of you has a story to tell,” Hoeve begins. He goes on to describe a previous relationship, in which he asked his then girlfriend how she would feel about having an open relationship, to which she agreed. But when talking about it with her some time later, he found out that while he had not acted upon it, she had. “I did not know what had happened, and it drove me crazy, all kinds of scenarios go through your mind.” In the end, he says it is best to know it all. Next it was up to Vissers to tell his story of relationships. At first he was not interested in committing to one person. But then one day he sat next to a man, and they started talking. Before he knew it he would be in a relationship, sitting at the dining table every night at 18:00 waiting for his boyfriend. But his boyfriend would come home later and later, and jealousy got a hold of Vissers. He left the house, left the country, but came back eventually. He missed his boyfriend, and decided to be honest. They have been together now for 33 years. 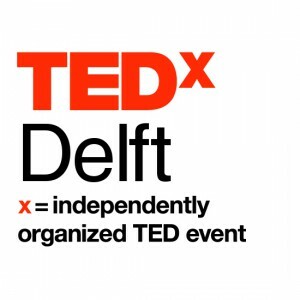 TEDxDelft is happy to announce that tickets for the main event on Friday 15 April 2016 are now for sale. Click here to order your tickets online to make sure you will be there to listen to exciting new ideas and perspectives. This edition will be TEDxDelft’s 5th anniversary and will be held on the birthday of one of history’s biggest thinkers, Leonardo da Vinci. Come join us on April 15th to celebrate the universal genius and share some more brilliant ideas. Keep an eye on the TEDxDelft website as the speakers for this year’s event will start to be unveiled soon. 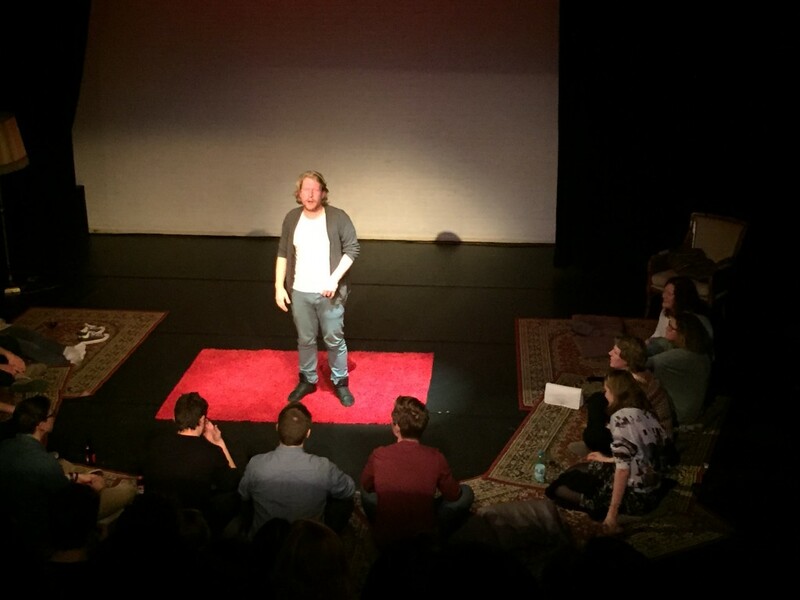 On Thursday 18 February at 20:00 TEDxDelft will host its next storytelling event at the Rietveld Theater. With Valentine’s Day taking place only days before, TEDxDelft Stories will turn the spotlight on those who deserve some loving too: the lonely hearts club. The event will be held in English and admission is free, so come join us for an evening filled with stories and TEDx videos on matters of the heart. Architecture is not just Mulder’s career, it is a passion. He graduated from TU Delft’s civil engineering faculty with a major in architecture. He started out as an architectural draftsman, before further climbing the ladder, from architect to project architect. Eventually, he would become owner of his own agency, working on several prestigious projects. Hotels contribute extensively to climate change. “Hotels are heated or cooled 24/7, which is unnecessary,” explains Mulder. Many measures have been taken, such as leaving towels on the floor, or the card that turns off all electricity when a guest leaves the room. But these measures make relatively little impact on the environment. Mulder argues that a more extensive rethinking is needed of what a sustainable hotel is. By designing a new hotel from the ground up with sustainability and reusability in mind, the possibilities to minimise a hotel’s footprint become almost endless. By reusing water from the shower for the toilet, and then for greenhouses on the roof of the hotel, less water is being used. The greenhouse allows the hotel to grow its own fruits and vegetables, and the gases help to warm up the hotel. A system built into the facade further helps with regulating room temperature by allowing sunlight in or blocking it, depending on whether or not guests are in the room. By rethinking hotels and creating a more integrated system of use and reuse, Mulder is convinced hotels will have a big impact on the environment in the future. In 2012 Tolou received his PhD from TU Delft’s Department of Biomechanical Engineering, dealing with micro-electro-mechanical systems. Since then, he has continued to focus on MEMS, publishing several research papers and submitting eight patents, seven of which he is named first inventor on. He currently works as Assistant Professor at the Department of Precision and Microsystems Engineering at TU Delft, as well as being an Intra-European fellow at Imperial College London. “Every day 30,000 containers go through the port at Rotterdam,” Dr. Tolou explains. “All equipped with sensors to measure temperature, or report its location.” These small devices all use batteries. In some cases, it can even be crucial, for instance with pacemakers. These devices also use batteries, which have to be replaced occasionally. Together, all these used batteries could fill several Olympic stadiums. Finding an alternative to batteries, therefore, would be tremendously beneficial to the environment. “Why not harvest energy from motion to power devices?” Dr. Tolou asks. By capturing kinetic energy, it can then be transferred to a device which can store and send it to the device whenever it requires energy. Until recently, however, energy harvesters only worked when under regular and even motion. “But now it is possible to build these harvesters that can work with random motion,” he announces. If used on a large-scale this could reduce the dependence on batteries, potentially leading to a battery-free environment. “Cars have changed a lot over the past 100 years,” Bas aan de Stegge explains. All except for the combustion engine. 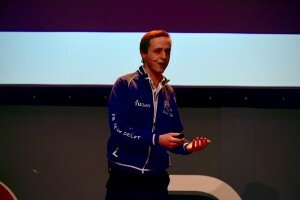 Aan de Stegge started out as a mechanic for Formula Student Team Delft, working on the powertrain while studying for his Bachelor in Mechanical Engineering at TU Delft. He would later become part of the team’s Chief Recruiting Committee. In this role, he was charged with recruiting new engineers. Eventually, he would take on the role of Chief Executive Officer for the team, a role he continues to fulfill to this day. A combustion engine accounts for a significant part of a car in terms of weight. In addition, it is a major cause of greenhouse gas emissions. Many elements of the car have evolved throughout the years, but the combustion engine has not. In recent years the number of electric cars has risen, but they still use concepts from cars as they have been built throughout the years. At Formula Student Team Delft, they decided to take up the challenge to develop a completely new drivetrain. “Electric motors are used to store energy, and to propel the vehicle forward,” aan de Stegge explains. Electric motors can be far smaller than they currently are. The team decided to try and place this new type of engine in a new place: the wheel. This meant a complete re-imagining of the wheel, more specifically the rim. What they came up with is a spoke-less wheel, which includes a motor to propel the car, as well as the brakes. “It offers several advantages: the car is lighter and the performance is better.” Though the technology is still relatively new, aan de Stegge is convinced that this technology will eventually replace the combustion engine, definitely bringing the car into the modern era. 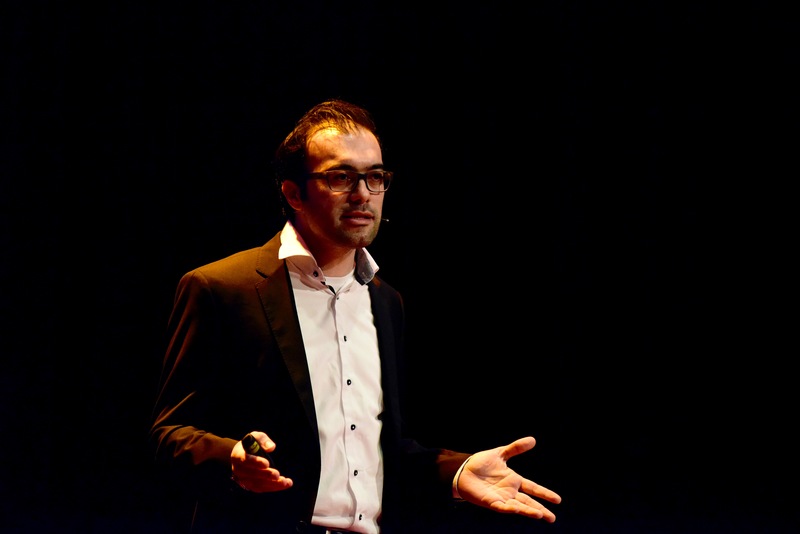 On Thursday 21 January TEDxDelft hosted its first event of 2016. It was the second Cinema event of the season, entitled ‘We’ve got the power,’ focussing on feminism. Hosting the event on the evening was TEDxDelft’s very own Ailie Conor. The representation of women in popular media is what angers Conor in particular. Modern culture portrays women in specific roles, as certain stereotypes, creating unrealistic expectations of women. “It is difficult watching a movie, or a TV show, or reading a book not to feel saddened by these renditions,” she clarified. “Society seems to hate teenage girls, showing them being frivolous, looking vapid by taking a selfie,” Conor said. The media, when dealing with teenage girls, often shows them as flat characters exhibiting only a couple of character traits. Yet there are strong women who can be great role models. “Someone like Stevie Nicks perhaps,” she said. Women are too often portrayed in the same roles, which makes it all the more important when they do play the part usually reserved for men. Harvesting energy from the movement of humans to power our everyday appliances seems quite futuristic, maybe even implausible. 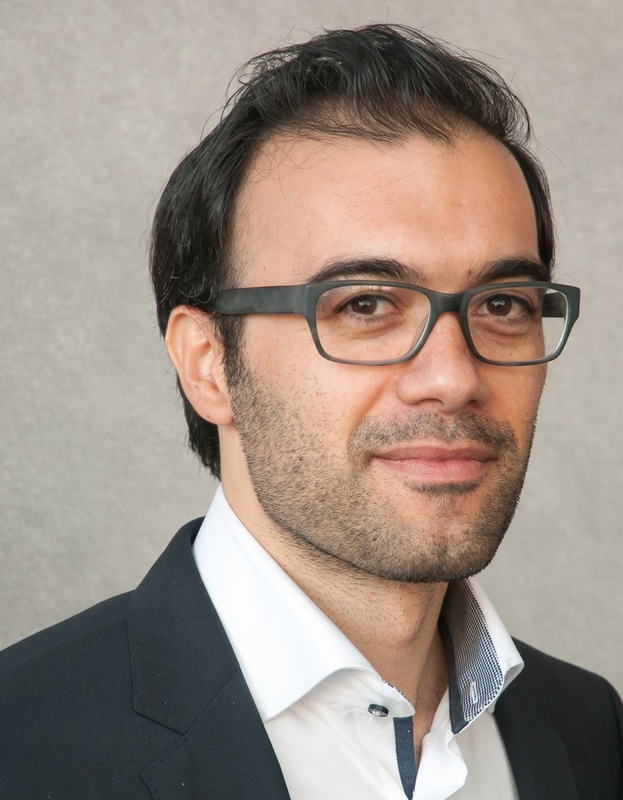 Dr. Nima Tolou, Assistant Professor at the Department of Precision and Microsystems Engineering at TU Delft, focuses on creating a cleaner world by lowering the use of batteries and replacing them with energy driven by motion. Tolou received his PhD in 2012 from the Department of Biomechanical Engineering at TU Delft, focussing on micro-electro-mechanical systems. Apart from being an Assistant Professor at TU Delft, he is also an Intra-European Fellow at the Optical and Semiconductor Group at Imperial College London. In addition, he has published several research papers and has been named inventor of eight patent applications, seven of which he is the first inventor. “I am pretty excited to share my ideas on motion energy harvesters for real world applications,” he said. By 2020, 20 billion low-power devices will require batteries. 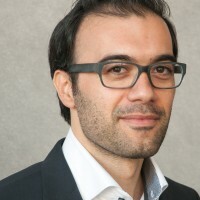 During his talk Tolou will share his ideas about how energy recovered through motion will reduce our dependency on batteries, along with knowledge he gained through his work on the design of high-performance micro/meso compliant mechanisms for MEMS and motion-driven energy harvesters. Tolou hopes to reduce the environmental impact, replacement cost, and potential health risks from batteries through his revolutionary ideas. Want to learn more about this new technology? Come be a part of this exciting talk on Sunday 24 January, starting at 15:00 at Theater de Veste. Electric cars are a great way to lower environmental emissions, and innovative ways to increase their efficiency are much needed to cater to a wider audience. Bas aan de Stegge, CEO and Team Manager of Formula Student Team Delft (DUT Racing), strives to achieve this by introducing the “spokeless drivetrain” which helps to develop an electric vehicle that is much lighter. Aan de Stegge joined DUT Racing as a powertrain engineer when he was doing his Bachelor’s in Mechanical Engineering at TU Delft. There he helped to create an innovative powertrain for an electric race car. Later, he became a part of the Chief Recruitment Committee and was responsible for recruiting new engineers for the team. 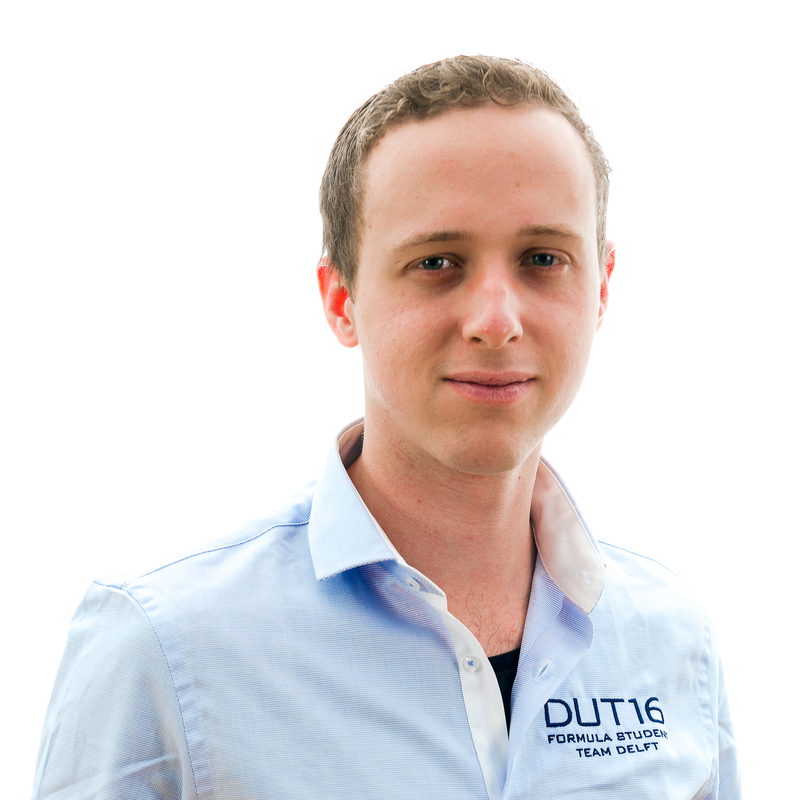 Today, Aan de Stegge is the Team Manager and Chief Executive Officer of DUT Racing and leads a team of eight full-time and 65 part-time students in the Formula Student Competition. The focus of his talk stems from the new drivetrain DUT Racing has developed, designed specifically with weight reduction in mind. “We fundamentally looked at all the functions of a drivetrain and shaped it in a new way,” he explained. The new drivetrain integrates an electric motor and a transmission in a unique way inside the vehicle. This in turn makes the vehicle lighter and more efficient. 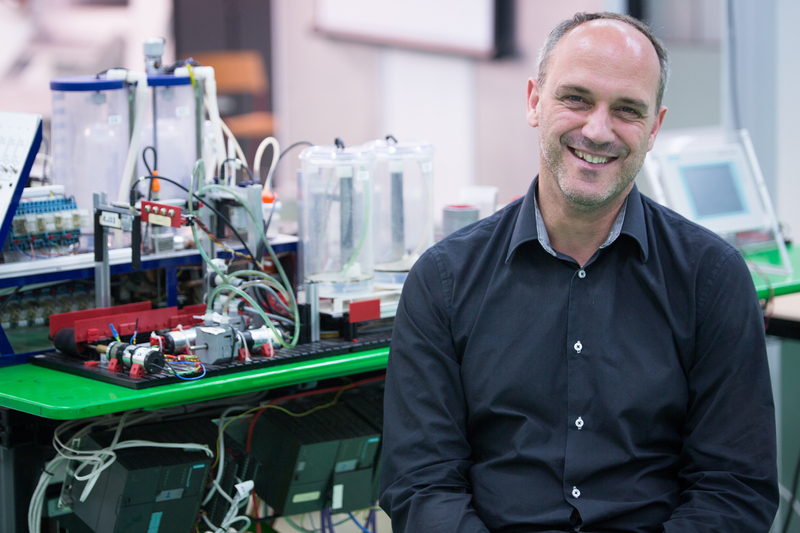 For Aan de Stegge and his team, what matters most is to show the capabilities modern day technology has to offer. “It shows what kind of innovations are possible in electric vehicles,” he said. Come and be inspired by this TEDx talk that will shed new light on how we will drive in the future. The Salon will take place on Sunday 24 January at 15:00, at Theater de Veste. “Somewhere around March last year we approached TEDxDelft to ask them for advice on how to organise a look-alike event.” they explain. After having a sit-down with Project Manager Molly Quell going through the options, the three were offered the opportunity to organise the Salon, supported by the TEDxDelft staff. It is a task they relish, having recruited the speakers, selecting various TED talks to show, and on the day itself hosting the event. The theme of the upcoming Salon is one that speaks to the three students. “For me, the automotive industry was always alluring because of it’s sheer impact on mankind,” Harms explains. For van der Nat, it is the evolution of mobility in recent decades that fascinates her, and how sustainability will further change it. After well over half a year of preparations, this Sunday van der Nat, Hoekstra, and Harms will take to the stage and see their hard work come to fruition. What are your expectations, challenges, and things you are most looking forward to for this event? Harms: For me the foyer is really important, I hope this will be an aspect I am going to be proud of later. I can tell we have a lot of potentially genius youngsters walking around in there. Hoekstra: I want to have a good overall event that we can look back and say “wow, we have really pulled something off out there!” During the whole organization, I had the feeling that my expectations would be fulfilled. Except that brings me to my biggest challenge, that I have to keep my focus on the main goal and not lose too much time on the small details. Van der Nat: If I am honest, I kept my expectations as low as possible. I know I am a little bit of a perfectionist and with organizing an event you don’t have all the control as you are dependent on a lot of others. And even though I knew that they would be more experienced and professional than we are, I still felt a bit nervous. Maybe especially because of the fact that they are experienced and we were not. Looking back now, I am very happy with the way things went, of course, you can point out what could have been done better or more efficient afterwards, but that is something you learn out of it. If you could give a TEDxDelft talk, what would it be about? Harms: That is a difficult question but a thing that quite quickly popped into my mind was ‘First Impressions’. I might not be that wise and experienced but I notice that with a positive, enthusiastic attitude, a proper appearance and a twist between respect and forwardness you can do things that you would not intentionally expect yourself to be able to do. Hoekstra: My TEDxDelft talk would be about our brains. How we can utilize our brains in the most optimum way. Maybe this information is known for quite some time and it is a fact that I am a seventeen-year-old kid, whereby I do not have the expertise yet to answer this particular question. As a scholar, I am spending long nights to fulfill my duties. I wonder, though, sometimes, whether my brain still absorbs all the information around one o’clock in the morning. In other words, when does my brain absorb the most information. And how can I adapt my schedule to this knowledge to successfully absorb the necessary information in the least amount of time. Van der Nat: At this point I feel much better off behind the scenes, it would be an assignment for me to figure out what kind of TEDx talk I would want to give. I am jealous of the people who have this skill come naturally to them. On Sunday 24 January at 15:00 TEDxDelft will host the next Salon at Theater de Veste, entitled Going Places. Continuing with the theme of climate change this Salon will focus on topics such as transport, energy recovery, and buildings. The speakers for this event will be Bas aan de Stegge, team manager for the Formula Student Team Delft; Nima Tolou, Assistant Professor at TU Delft; and Robert Mulder, architect. Each will share interesting insights into new technologies and ways of thinking that can help against climate change. The event will be held in English and admission is free. So tell your friends and family, and come join us for an afternoon of interesting talks and entertainment! And Judith van de Nat, Joost Hoekstra and Hidde Harms for their participation in the organization in this event. “It is very inspiring to me to be part of the TEDx organization,” says Rob Speekenbrink, licensee, curator and TEDxEurope ambassador. Since co-founding the TEDxDelft platform in 2010, organizing the event has given him plenty of inspiration. As such Speekenbrink, who works as an online media consultant for TU Delft, is perfectly poised to provide engaging speakers and topics at every event. Indeed when Speekenbrink set out to organize the first TEDxDelft, it was the need for inspiration that drove him. “When I first started out I was fed up with normal events that cost a lot of money and take a lot of energy and time, and usually there was not much inspiration, and that still is the case.” Organizing TEDxDelft has provided him with what he had been searching for. In addition, the large network of people he has met as part of the organization have enriched the experience even further. As TEDxEurope ambassador, Speekenbrink now assists at events across the country and beyond the border as well as overseeing Delft. “Since April this year I have been the TEDxEurope ambassador, so my role has shifted to being a consultant for other TEDx events in the Netherlands and Belgium to help them get started.” With an ever-increasing involvement in the organization, one can always count on Speekenbrink to deliver another inspiring TEDxDelft event. What is your current role at TEDxDelft and what does that entail? I am still the licensee for the coming event. We have been looking for another person to take over the license, and we have found someone, but it is a little bit difficult to transfer because of the structure TED has for licenses. A new licensee would have to attend a TED event, and the next one is in December. If you could choose a historical or fictional figure to give a talk at TEDxDelft, who would it be and why? I proposed hosting an event with deceased historical figures like Einstein, for instance, and to re-enact Einstein on stage talking about the theory of relativity, but it wasn’t allowed because the idea is that you are able to work with the speaker. Are there any hobbies you secretly enjoy outside of work? I still do geocaching, it is my nerdy little secret. I like to be with my family at the weekends and spend as much time with them as I can, because they give me a lot of energy. My hobbies and work are very much the same thing I think. Being involved in TEDx is still a hobby of mine, and I am very grateful that I get to do that next to the work I do for the university. If you had the opportunity to give a TED talk, would you? No. There are several kinds of people. I am one of those people who would probably never do a TED talk not because I wouldn’t like to, but because I don’t think I could do one. Let great ideas inspire you. 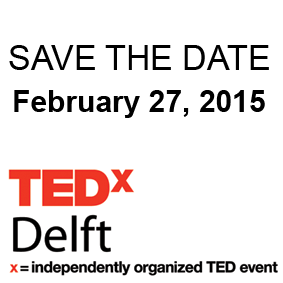 On February 27, 2015, TEDxDelft returns with an impressive panel of speakers, cutting-edge ideas, inspirational stories and fun side events. Tickets will be on sale soon, so make sure you circle the date on your calendar. The theme for 2015 is Let’s Make Things Beta and it’s all about co-creation, crowdsourcing and creating unfinished things. Our focus is to encourage the community of scientists, designers and thinkers that are the hallmark of Delft to be motivated and proactive about following through on great ideas. Started in 2011, the event is a TEDx program – a self-organized, local event that brings people together to share a TED-like experience. The platform has been growing ever since, and the event in 2013 was attended by 900 people. Our website, which also streams the event live, had over 10,000 visitors on the day. Over the next couple of weeks, we will update our website with more information about speakers and TEDxDelft salons – side events that range from cinema to children’s activities. Stay tuned for more. https://www.tedxdelft.nl/wp-content/uploads/2016/02/TEDxDelftLogoWebsite.jpg 0 0 Damini Purkayastha https://www.tedxdelft.nl/wp-content/uploads/2016/02/TEDxDelftLogoWebsite.jpg Damini Purkayastha2014-09-26 15:02:572015-08-01 06:44:00TEDxDelft 2015 | Save the Date! Marije Nie is a musician with her feet, a dancing percussionist. Her tap dance style is the perfect symbiosis between music and dance. The rhythm dictates the movement and the movement determines the sound. She feels at home in many different kinds of music: jazz, improvisated music, worldmusic, (contemporary) classic music, experimental electronica and dance. In 2007 she won the Jur Naessens Musiekprijs for innovation in music. With her skills for improvisation and her passion for experiments, she created her unique niche between composed and improvised music. At TEDxDelft she will present her tap dance adventure, the film One Million Steps. Ideas worth spreading need to be spreadable. That’s the theme for this year’s TEDx Delft event, Do try this at home. Do try this at home will feature the inspiring talks TED and TEDx is famous for but with a practical twist. Speakers will discuss concepts which can be implemented in everyday life, encouraging attendees to take these ideas home and add value of your own. After the success of last year’s event, Never Grow Up, we wanted to find a topic which was equally inspiring yet with a more hands on approach. Along the lines of Never Grow Up, Do try this at home promotes curiosity and wonder while emboldening attendees with pragmatic ideas. The ability to make changes in the world should be accessible to every person and our goal is for attendees to leave with the basis for instituting change in their own lives. The theme draws heavily from the city of Delft and what it represents. As the saying goes, Rome wasn’t built in a day. Neither was Delft. The history of the city was developed in incremental steps over hundreds of years. We were inspired by the process of building something great out those steps. The population of Delft, especially the university, has a reputation for “MacGyvering”. The concept refers to the popular 1980s TV show featuring secret agent Angus MacGyver who was known for his resourcefulness. We see students everyday finding resourceful ways to solve problems in their academic life and we want our theme to highlight the talents of our community. Do try this at home will combine the best of TED and TEDx with the best of Delft. We are very pleased to announce TEDxDelft 2013: 4 October 2013! TEDxDelft will again be full day of inspiration, ideas and energy. A change to meet new people and to see new possibilities. TEDxDelft will again be in Aula Congress Centre Delft, again for about 950 attendees and again with 20 performer/speakers. TEDxDelft2013 will also differ very much from 2011 and 2012: we promise to surprise and inspire. 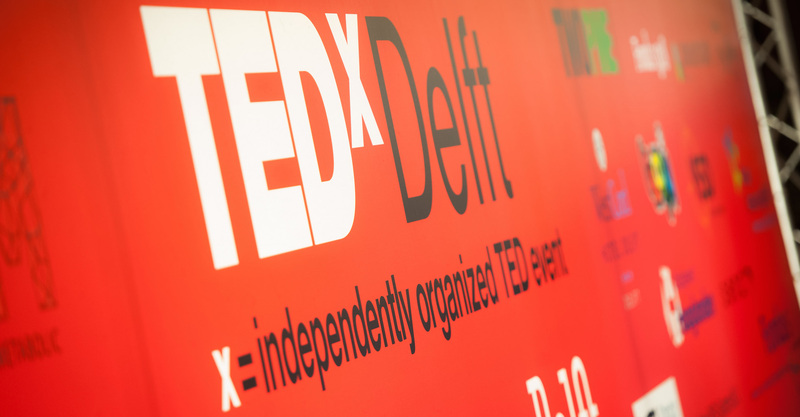 We will re-invent and renew TEDxDelft and we are confident that, together with you, we will create the must-attend experience in Delft 2013.